I hate this show for one reason. 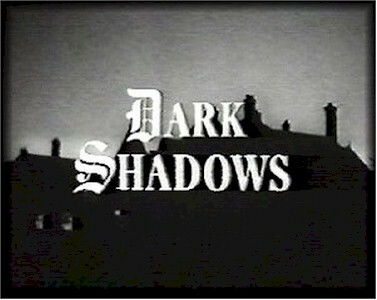 It came on the same time my cartoons came on, and my older sister would always put on "Dark Shadows". I didn't want to watch a show about Vampires and all that other stuff. I wanted Pop Eye, and the rest of my cartoons. Actually, as with most "soaps", Dark Shadows starred some actors and actresses who came from, or went on to, fame in other areas and are quite good at their profession. The seeming over dramatic writing was pretty characteristic of all soaps at the time. Perhaps Dark Shadows seemed far fetched because vampires, ghosts and witches were not generally thought of as "real" subjects back then. I somewhat followed the show and found it to be an interesting twist on daytime drama. When I was in elementary school, there was a group of girls who watched "Dark Shadows" every day and discussed it next day at school. I watched it once but just did not get it. The opening was good, with the creepy music and house and the fog swirling about; what one might expect if "Wuthering Heights" had been adapted to television. If there was a plot, it was impossible to follow. I'm not sure if I recognized bad acting and cheap production when I was that age but that's what I'd expect to see if I saw a rerun today.